We last spoke in August 2007 about Beating Heart (HarperCollins, 2006) and Repossessed (HarperCollins, 2007). 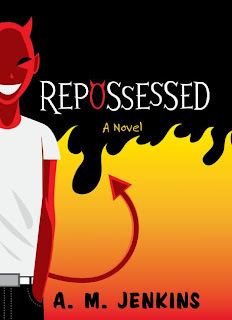 Since then, Repossessed was named a Printz Honor Book! Congratulations! How did you first hear of this and how did you (and yours) react? By a huge coincidence, I was attending ALA in Philadelphia when I got the call. I have a group of writer friends I seldom get to see in person, and a few years ago we agreed we'd meet at Midwinter 2008 because that was the easiest ALA for most of us to get to. So I wasn't there as An Author, I was just hanging out with buddies and generally having a good time. On Sunday morning my group had met for breakfast, and that's when my cell phone rang. So I got the news while surrounded by my longtime YA writing pals, the few people in the world who truly understood what that phone call would mean to any writer and to me in particular. Every one of my friends knew instantly--just from the look on my face--who was on the other end of the line. It was one of the best moments of my life. What does the Printz honor mean to you, both personally and professionally? Personally, it means that somebody actually reads and appreciates what I write. You might think that this is a given, but for me it's not; I write with the bottom-line acceptance that it's entirely possible that nobody will ever read or care about anything I'm working on. This frees me up to focus on writing, and to write what I please. On top of that, I do little to no marketing and promotion. When my books come out, all my hard work feels like the proverbial tree in the forest: if nobody's there to hear it, does it make a sound? The Printz honor answers this question: Yes, my writing does make a sound--or at least it did in this one case. Professionally, I don't know. Check back in a year, and we'll see. 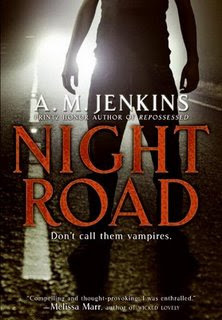 Congratulations, too, on the release of Night Road (HarperCollins, 2008)! Could you tell us a bit about the book? I guess you could say it's "vampires" meets road trip meets coming-of-age. What was your initial inspiration in writing this story? I don't even remember, it's been so long. I'm not sure when I started the manuscript, but it was before my first published novel got accepted, which means I had to have been working on it in 1995. What literary influences played a role and how? The terrible thing is that I haven't been able to read any vampire books in all that time (except I accidentally read Robin McKinley's Sunshine (2003) when it came out; I picked it up thinking it was a fairy tale retelling, and then I was too weak-willed to put the book down and walk away). I remember M.T. Anderson's Thirsty (Candlewick, 1997) came out while I was working on the manuscript, and I was tempted to read that, but I couldn't let myself. I haven't let myself read any of the hot new vampire titles, haven't read Stephenie Meyer (author interview) or Melissa de la Cruz (author interview) or even your own Tantalize. I was slightly comforted when Stephenie Meyer told me she can't read vampire books either, for the same reason I can't; we don't want to accidentally absorb another author's voice or outlook. What's weird is that I seem to have influenced myself. I was working on my second book, Damage (HarperCollins, 2001) concurrently with Night Road for several years. Damage is about depression, and Night Road is also steeped in that heavy feel and mood. The main character, Cole, is borderline depressed, and would probably be deeply so, if it weren't for the fact that he has to get out of bed every night, has to keep going, has to keep putting one foot in front of the other. He's all self-control, and part of the reason for that is that he can't let depression affect his routine and behavior. The biggest outside influence was probably Conrad Richter's Awakening Land Trilogy, which has nothing do with vampires or horror, and which I talk about in an author's note at the back of the book. I ended up cutting a lot of my backstory that was more concretely based on AL, but even so the mood of time slipping away and being lost forever is still there. What was the timeline from spark to publication and what were the major events along the way? The timeline was at least thirteen years. This was one of the projects I plugged away at during the years I was learning the basics of building an idea into a book. One major event--not publishing-wise, but writer-wise--was that this was the first book I managed to write in third person. It was very difficult for me to pick up a third-person voice. I still struggle with it; my beginning drafts in third person are about as ugly and ponderous as you can get. But the Night Road manuscript wasn't working in first person, not from anybody's point of view. I tried every character and point of view I could, some of them at the same time. You name it, I tried it. What were the challenges (literary, research, psychological, and logistical) in bringing the book to life? Aside from the usual writer-problems like finances, I didn't have the craft developed for a long time; then for a few years I had the general story down on paper, but I didn't know what it was really about, which meant the scenes added up to something pointless, meandering, and unsatisfying. Now I have basically the same scenes, but (I hope) they've come to feel more like they tie together by the end. Thinking back on the novel, the mood, tone, and setting struck me as mesmerizing. How did you build your fictional world? In my humble opinion, the way the reader perceives the mood, tone, and setting is due in large part to Cole's mindset. Everything is colored by the way he feels, from the way he sees the road rolling away under him when he drives, to the things he thinks when he's swimming. If, for example, the demon in Repossessed was doing these same things, the mood and tone would be completely different--and the setting would seem different, too, because a writer/reader usually focuses on whatever the main character is noticing about his surroundings. 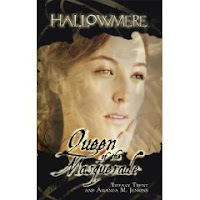 Last we chatted, you were working with author Tiffany Trent on Queen of the Masquerade (Hallowmere)(Mirrorstone, 2008). Could you give us a hint what to expect from that book? Queen is the fifth book in the ten-book Hallowmere series. It's about Christina, whom fans of the series know as the beautiful French girl with secrets. I had a lot of fun writing this book; it pushed me in new directions and challenged me to stretch myself craftwise. I learned a lot in a very short time, and am trying to apply what I learned so that I can keep stretching. It was a wonderful experience all around. I'd like to say more, but I don't want to give the story away, so all I'll say is that Hallowmere fans should make sure they have a box of Kleenex handy, just in case. When it comes to your solo-byline books, what can your fans look forward to next? I have no idea. As of this moment, nothing is sold and accepted. I'm finishing up a fun, fast-paced, midgrade/YA adventure that I think of as Alexandre Dumas with a manga series sensibility. I have a first draft of an upper YA graphic novel script that I feel very passionate about, but I think I'm not quite there yet, craft-wise. There's a Night Road sequel in the works, but it's still mixed up with the first book (in my head), so I have to wait and let that unsnarl. And speaking of books that take forever to write, I still have the very first manuscript I ever wrote, which I am determined to develop into a readable, publishable book if its the last thing I do on this earth. That's a midgrade historical. I finally got the right voice and point of view character (see learning to write in third person, above), so that was a real shot in the arm. As a reader, so far what are your three favorite YA books of 2008 and why? Hmm, I made a list and there were more than three, so I'll just name one. I just finished David Yoo's second book, Stop Me If You've Heard This One Before (Hyperion, 2008). It's funny and sweet, and it gets back to a good ol' YA tradition that seems to me to have faded lately--inherent, character-driven subversiveness. Nowadays it seems like subversiveness is mostly about format or concept, and that's no fun. I find it very satisfying to read a YA where the main character is what's stirring the pot.